IMG_6124.JPG, originally uploaded by RachelC. On Saturday, fans of Ze held a party to ‘celebrate’ the end of show. 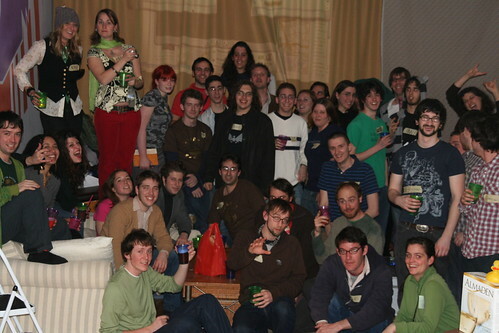 Most people there had never met each other but had the common lik of watching the show and connecting online via the forums and the ORG. I volunteered to take the group photo, to go with the rest of them I took during the night. And, as you will see, Ze turned up to meet everyone there.